Diamond Soft Woven Throw is rated 4.0 out of 5 by 1. 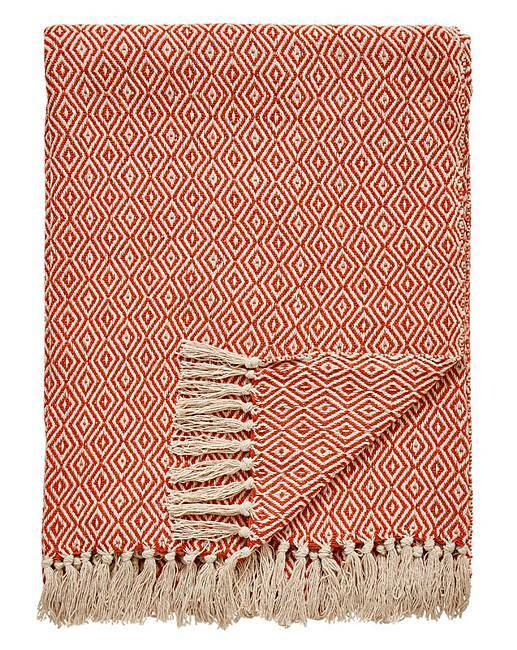 The Diamond Soft Woven Throw is a beautiful and delicate throw perfect for any living space. Made from 100% cotton with soft to touch handle. Finished with an attractive fringe. Rated 4 out of 5 by Maria 1000 from Nice texture Bought two for our conservatory chairs. The only problem was the strong smell of the fabric but this is now next to nothing since washing. Very pleased.